April 16, 2008 Ooh-La-La Hats! Looking to fashionably navigate a season of soirees? 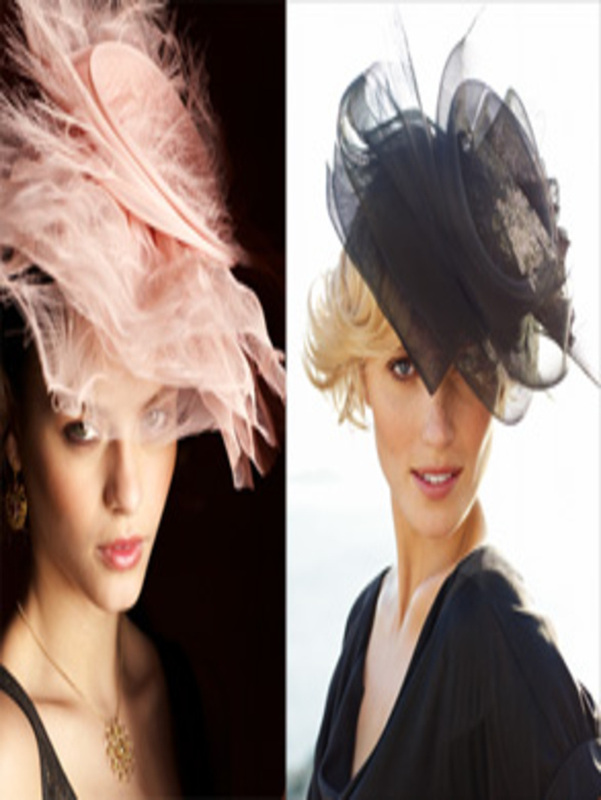 Our cosmopolitan French hats are handcrafted with a swirl of frothy net and Chantilly lace. So accent your style with a little ooh-la-la and raise the sophistication quotient at your next champagne event. In our new Summer collection, we feature innovative knits, exciting new prints, fresh fiber choices and fashion-forward designs. One of the designs I find particularly creative is our Element Tunic. Fine-gauge jersey knit of Peruvian pima cotton, this chic design is not only fun and slimming but also hides a cutting-edge sleeve treatment that makes this seemingly classic shape an unorthodox choice. As you can see in the illustration above, on the wearers right side the design features a raglan sleeve construction with wide sleeve opening. 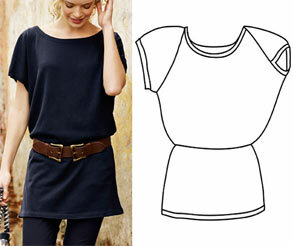 On the left side is an angled seam with dolman sleeve characteristics and a narrow notched opening. The sleeves appear to be the same length when worn but this asymmetric silhouette captures the contemporary new-wave of pattern-making found in European and Asian boutiques without taking it too far outside the average persons comfort zone. The effect is so subtle that most do not notice it but you will certainly feel progressive energy when you wear it. P.S. Also available in Petite! We are really excited about our first ever Summer catalog and the addition of a 4th collection to our design house. As a preview to the season please enjoy a small clip from our Oaxaca, Mexico photo shoot. We hired a local Mariachi band for some of the shots and were delighted when they began to perform as the photographer took pictures of the model. A little grainy but certainly fun to watch. Peruvian Connection is not responsible for the contents of external internet sites. Sometimes dusting off relics from the past can be a satisfying way to appreciate the present. It allows you to see the journey from a new perspective. Back in the day (32 years ago to be specific), Annie and her mother Biddy began their small artisan-made alpaca sweater business from their own kitchen table. Inspired by Annie’s anthropology research on women in the Andean marketplaces of Peru, they created a small catalog with Annie doing everything from designing, modeling, photography and writing the copy, while Biddy took care of the packaging and shipping of orders and managing the growing rolodex of potential customers. 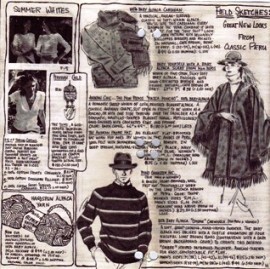 The above image is an insert from their 1980 digest-size catalog. Penned entirely by Annie, the "Field Sketches" style of this page looks as if it could have been inspired by the journal of Hiram Bingham himself, a nod to Annie’s own anthropology background. To read more about how Peruvian Connection began, click here.